This new resource is a healthy eating resource that targets older Albertans, providing information, ideas, and an interactive component that encourages and supports healthier food choices. 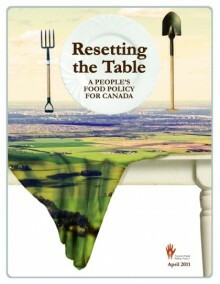 Food Talk: From Surviving to Thriving is a report of the Community Food Connections Association in support of the development of a community based approach to achieving both individual and community food security. The report is based on information gathered primarily through a series of focus groups completed over the fall and winter of 2006-2007, and primarily reflects the opinions of the citizens participating in this process. As well, where possible, factual information was gathered to further describe both the assets and weaknesses impacting food security in and around our community, and inform future action. The purpose of this report is to summarize the survey information obtained from the respondents of the 2014 Hunger Count Questionnaire. The primary goal of the Hunger Count was to start discussion around hunger in the City of Medicine Hat. Another goal was aimed towards establishing a baseline for the types of services being provided and what organizations can do to move individuals/families towards food security and out of crisis. The purpose of this report is to summarize the survey information obtained from the respondents of the 2015 Hunger Count Questionnaire. A survey was sent out to various organizations in Medicine Hat to discover what types of food services were being provided by the organizations. The primary goal of the Hunger Count was to continue discussion around hunger in the City of Medicine Hat. Another goal was to provide an overview of the types of services being provided and what organizations can do to move individuals/families towards food security and out of crisis. The purpose of this report is to outline a conservative estimate of the average monthly cost of a basic, healthy diet for all Albertans who are two years of age and older. The report also presents healthy food costs for specific communities and community clusters across the province. This report aims to promote collaborative action among decision makers from sectors who can influence and reduce the health inequities faced by populations at higher risk for household food insecurity (HFI). 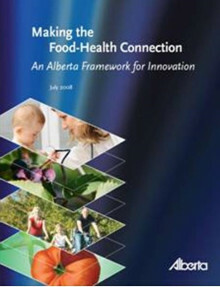 The report is part of a series of documents that provides an analysis of the cost and affordability of healthy eating in Alberta, as well as an overview of the causes, prevalence and impacts of HFI. The purpose of this backgrounder is to provide a detailed overview of the relationship between income, health and household food insecurity within Alberta. We are thrilled to share our updated Medicine Hat & Area Local Food & Producers Directory! This Directory will help you find local producers and how to access their food. We are excited to include a Specialty Food Markets section in this edition as we hope to enable Hatters to find culturally appropriate food. We hope this will be a beneficial tool for healthy eating and support of local agriculture in our community. Click here to open a printable pdf of the directory.